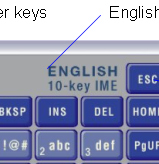 EZ Input uses number keys (0…9) to input text. The input method is “Just Type It” as with most smart mobile phones. 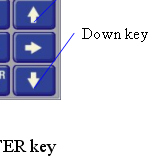 This means you press on the respective number key only once for each letter. EZ Input will spell the word for you. For example, you want to input “pizza” as your search key. Click on the search text box, then press 7(p), 4(i), 9(z), 9(z), 2(a) keys. A selection list will appear. 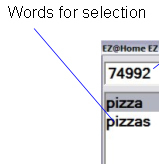 Use Up and Down keys to locate the word “pizza”, then press Enter to send it to your working application. Press the space key at anytime to insert a space into the text. 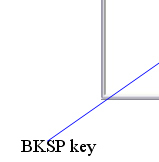 Press the BKSP / DEL key to delete an input number key in the Input Buffer or a character in the text (when the Input Buffer is empty). 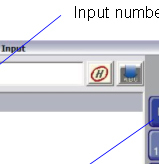 To input numbers instead of the word (e.g. to input "74992" instead of "pizza"), just mouse clicks on the input numbers (e.g. "74992") directly. The numbers (e.g. "74992") will be typed into the working application. You may also mouse click on the screen keypad to text input. 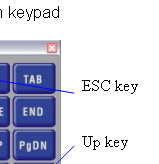 When finished, press the ESC key to close the dialogue window and switch back to “Number” input (standby) status. 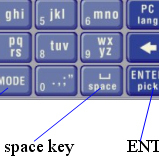 Press the MODE key to switch input mode between en, En, and EN, which represents normal, leading uppercase, and uppercase respectively. 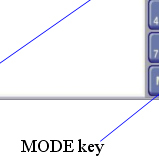 In en mode (default), the input word is typed into the working application without any change. In En mode, the first letter of each word will be uppercase. In EN mode, the whole input word will be changed to uppercase.